Wonderful high quality crochet hook from Clover. 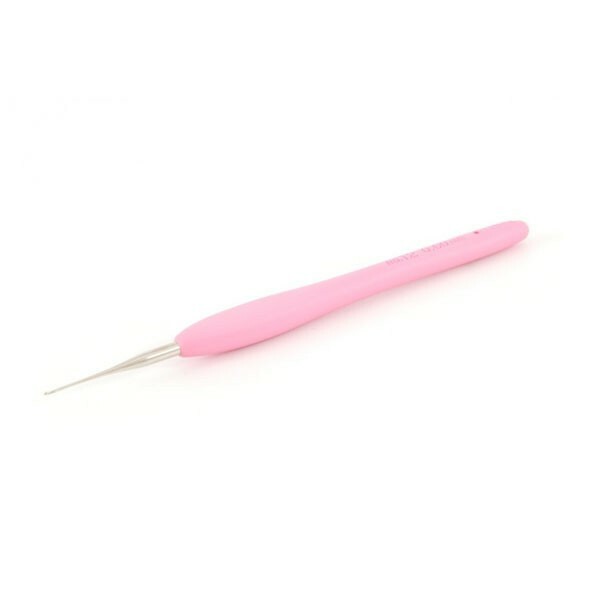 Clover Amour crochet hook is one of our best selling crochet hooks. Clover Amour crochet hook is ergonomically designed and has a fantastic grip, making it ultra comfy in hand. The tip of the crochet hook is made of plastic and the handle is made of ASB plastic in a beautiful characteristic color. This is the Rolls Royce model of crochet hooks. A beautiful hook to,use ,yarn slides easily over hook, handle is soft and lessens hand pain .would recommend this hook over any other hook.